“Buy low, sell high” is one of the very basics of investing. Yet it’s surprising how many people seem to forget this mantra of value-seekers everywhere. China’s real estate market was on a winning streak during most of the 2000s. In fact, local property buyers gained more than practically anyone else from the nation’s economic rise. Homes in major Chinese cities saw the largest gains. Those in Shanghai, Shenzhen, Guangzhou, and Shanghai saw values triple between the new millennium and the 2008 Global Recession. Something changed though. 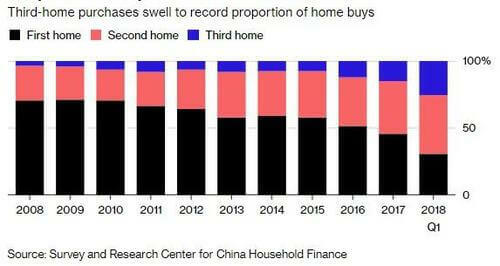 Property transaction volume has entered freefall across most of China’s first and second tier cities. Meanwhile, real estate developers are cutting sales prices of their new projects – often by as much as 30%. Rare signs of protest and public anger are even showing. Would you be upset if you bought a condo, but prices dropped six months later giving new purchasers a better deal? That’s now reality for some Chinese property buyers. Furthermore, it’s all happening during peak season for housing sales. The locals normally label these auspicious months “Silver October” and “Golden November”. You might think a website called “InvestAsian” would recommend buying property in China – Asia’s largest economy. But we don’t and here are several reasons why – especially if you’re foreign. China boasts the world’s biggest population with nearly 1.4 billion people (India will take that title by 2030). Nonetheless, there are more than enough houses for everyone to buy. Estimates place the number of unsold properties in China at over 50 million. That’s over 1/5th of the entire country’s total private housing supply. The government also curbed mortgage lending to reduce the number of speculative purchases and second/third home sales. Few Chinese citizens are buying houses in order to actually occupy them anymore. Second and third homes now make up a greater proportion of total residential sales than ever before. China will soon face a demographic crisis on top of everything else. Its population will peak at about 1.4 billion inhabitants by the year 2035. 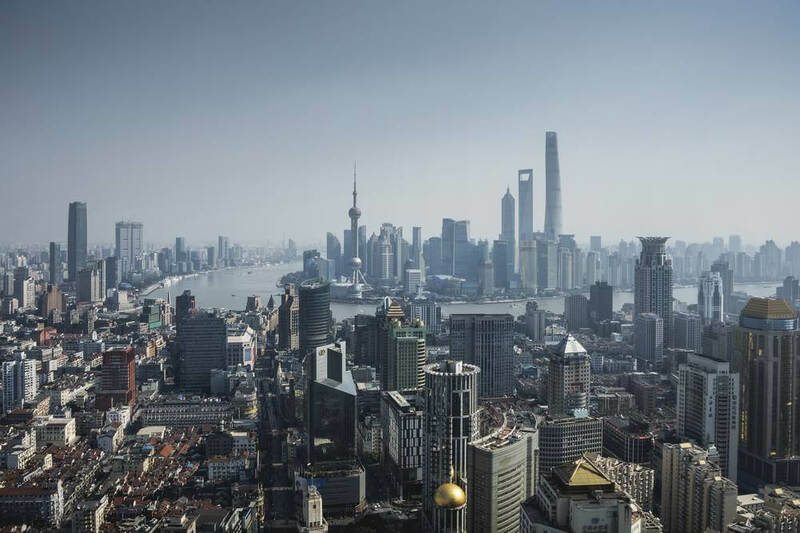 They’ll soon become the first country to ever grow old before achieving developed nation status – a dire situation for China’s real estate market and economy as a whole. I believe all those factors together will eventually lead to a construction slowdown and/or a property crash. Equities in China have gone through a tough few years. Back in 2015, the Shanghai Composite Index was above 5,000 points. The index has since plummeted by half into the 2,500 range. China’s stock market collapse hasn’t quite been reported as such by the media. Yet a fall of 50%+ is certainly more than just a simple correction. Personally, I would call that a full-blown stock market collapse without hesitation. 10-year chart of the Shanghai Composite Index between 2008 and 2018. China stock prices are selling below half their recent highs. Why does this have anything to do with China’s property market? Because real estate values were only kept inflated by stock market outflows in the first place. You see, Chinese investors believe property is a safe-haven asset. They’ve all seen the stock market’s boom and bust cycles. However, real estate prices have never fallen since China even began allowing private homeownership. That’s a major reason why money began shifting toward property soon after stocks plummeted back in 2015. It’s also why Chinese real estate prices have remained stagnant until lately, despite a stock market collapse and poor economic data. In other words, China’s real estate bubble was supposed to pop several years ago. Outflow from the stock market simply delayed the inevitable. Ever-stricter capital controls are geared toward ensuring local wealth stays within Chinese borders. Unfortunately, declining property and stock prices alike mean investors have few local assets left to buy. The US-China Trade War has officially begun and will probably stay for a while. Many analysts think the situation will worsen before getting better. Major shots have already been fired. China and the United States have each imposed tariffs on $250 billion worth of each other’s goods. But China imports almost exactly $250 billion in products from America. Since tariffs are pretty much maximized, China has two ways left of responding to the United States. Each of those retaliation measures would harm their own real estate market though. For starters, China could devalue the Yuan beyond its psychological ceiling of 7.00 to the U.S. Dollar. This would obviously devalue any assets denominated in Yuan, including all property in China. Second, China might sell its share of U.S. treasuries. Yet that would make interest rates skyrocket, in turn sinking the mortgage market and thus real estate demand. A trade war with the world’s biggest economy compounds China’s existing problems like falling asset prices and oversupply. Compared to the United States, China’s percentage of household savings in the real estate market is nearly triple. Putting all the above aside, fundamental problems with China’s real estate market still exist. Major issues would remain even if economic and political conditions were better. Foreign investors are especially harmed by Chinese real estate and investment laws. One, you can’t ever truly own property in China whether you’re a foreigner or a local. Every plot of land is technically owned by the state and can only be bought on a leasehold basis for 70 years. 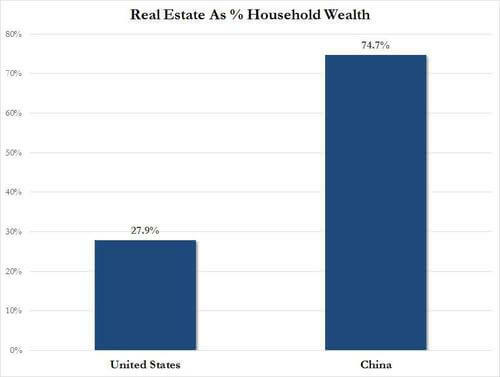 This makes Chinese real estate a depreciating asset. If you (or any heirs) had to sell a house 50 years after buying it, the fact that 20 years are remaining on your land use right would be reflected in the sales value. Not only that, but foreign property buyers in China are severely restricted by law. 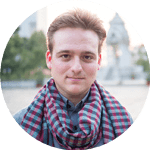 Perhaps the worst limitation is that you must have already worked or studied in China for one year and possess a long-term visa before buying real estate. You may only buy one property in China as a foreigner as well and are forever banned from renting it out. Many cities place additional limits on foreign real estate owners. In Shanghai, for example, you must marry a local Chinese citizen before owning property. Beijing demands that foreign buyers first show five years’ worth of tax returns. Finally, purchasing real estate in China by itself doesn’t give you the right to live there as a foreigner. Compare that to countries like Thailand or Malaysia that give investors permanent residence. Some investors would like to enjoy living in places where they buy property, you know. People often ask me “is this a good investment?”. Whether they’re talking about property in China or something entirely different, I always answer these sorts of questions relative to other options. After all, opportunity cost is very real. Why would you buy a high-risk, low return asset when there are thousands of superior options? I strongly believe that’s the case with property in China. Asia boasts more developed countries with less financial risk, where you can own freehold property while paying less money per square meter… and get a permanent residence visa included on top of all that. There are tons of better places to buy real estate in Asia as a foreigner. Depending on your specific needs, think about investing in Malaysia, Cambodia, or the Philippines instead of China.